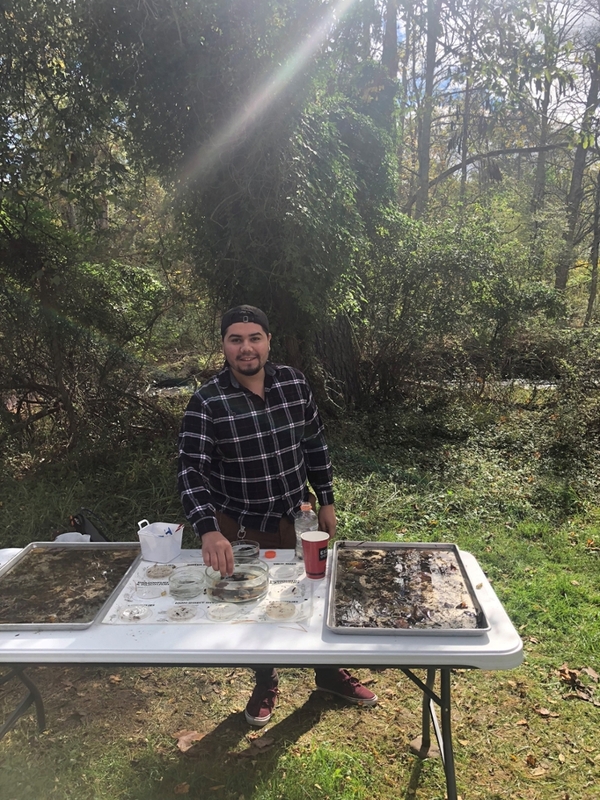 Lycoming College senior biology major, Brandan Gracia (Houston, Texas) recently completed work on a curriculum guide for the Waterdale Environmental Education Center, which was a collaboration with Amy Rogers ‘92, Ph.D., associate professor of education at Lycoming College. 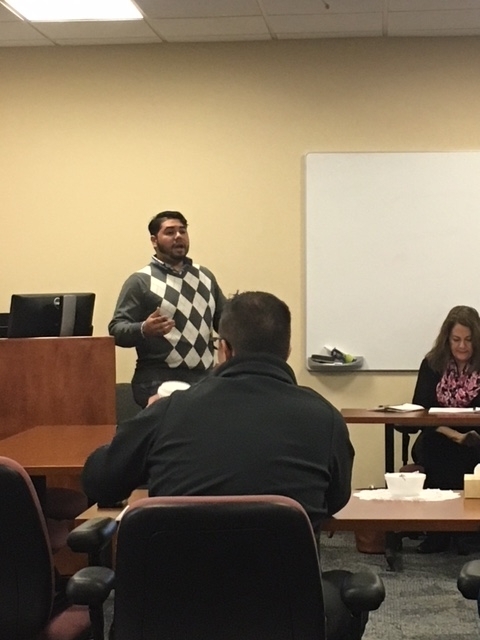 Gracia and Rogers presented the curriculum guide on Thursday, Jan. 24, to the IU17 Curriculum Council from schools in Bradford, Lycoming, Sullivan, and Tioga counties. Located in the pristine and beautiful mountain valley of the Mosquito Creek Watershed in Williamsport, the Waterdale Environmental Education Center, offers an educational outreach program that emphasizes the importance of watersheds and the role they serve in producing clean water that protects the public health of communities. 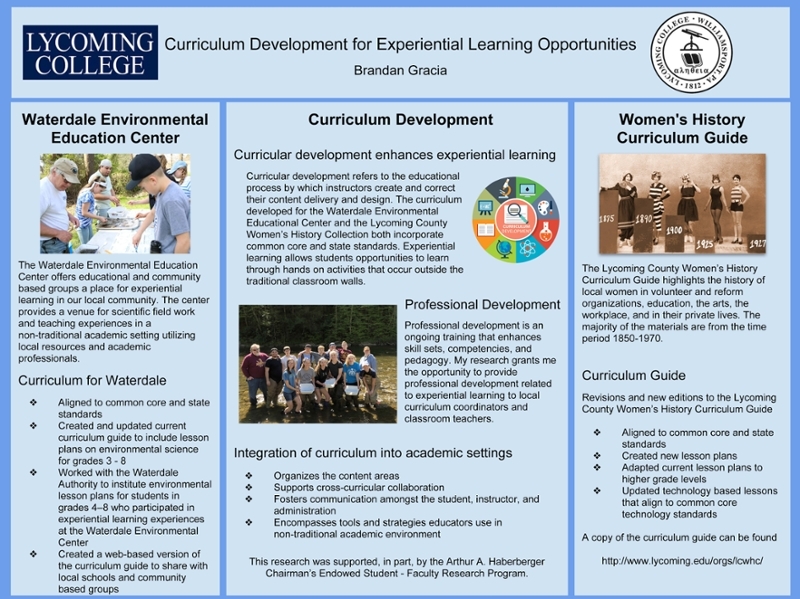 The curriculum guide reinforces the ecological instruction offered at the facility through lesson plans, projects, and other activities that support the education of students in grades 3-8 but could be easily adapted to serve students in grades 3 - 12. 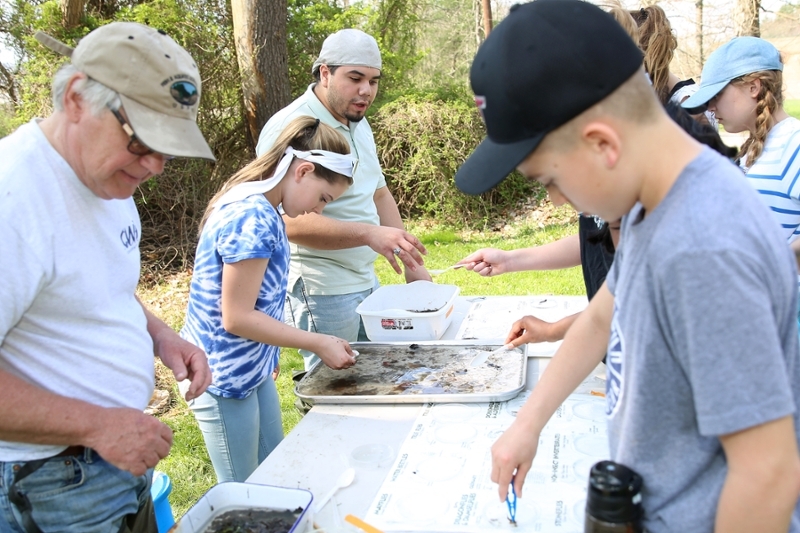 Meaningful, hands-on experiences promote awareness of the science of watersheds and connections to water quality and local ecology using Pennsylvania Academic and Core standards. 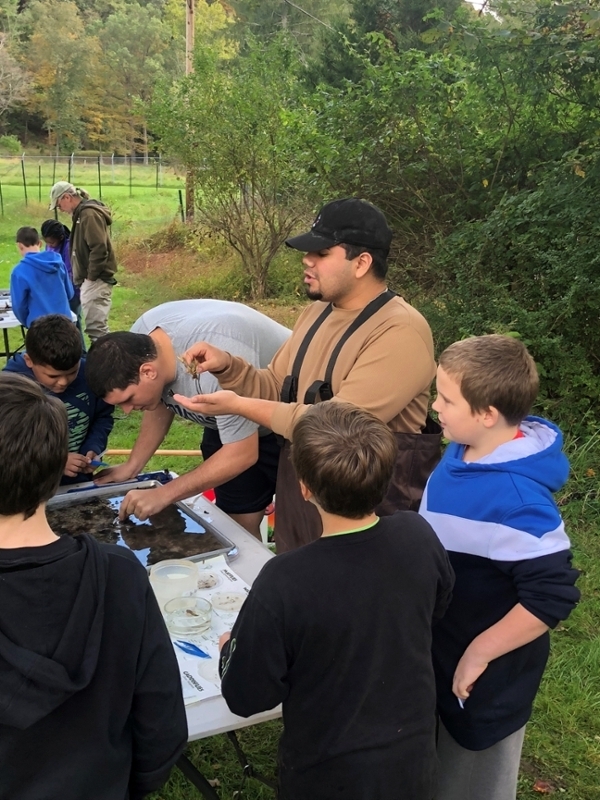 The activities offered are investigative and project-oriented, such as water monitoring and quality testing, macroinvertebrate population study, and stream flow and erosion simulations. Students collect and analyze data utilizing critical thinking and problem-solving skills. The curriculum guide includes lesson plans that may be adapted based on classroom needs; field trip itineraries; descriptions of various stations that could be offered, each with specific enhancements; and guidance to help teachers understand lessons and how to apply them — all with a focus on the conservation and protection of our watershed and how to maintain it, as well as how water is cleaned, and the process by which it gets to every home. Gracia’s road to achieving so much at a young age was not always a smooth one. “I am the oldest of four, and am a first-generation college student on both sides of my family,” he explained. “I am also responsible for my grandfather’s wellbeing back in Texas.” A college education seemed a bit out of reach, until he found Yes Prep, a public charter school system for grades 6-12 in Houston’s most underserved communities. According to YES Prep, only half of all students from low-income communities graduate from high school, and only 10 percent earn a college degree. Despite a student body that is 85 percent economically disadvantaged, YES Prep is able to send 87 percent of alumni to college within one year of high school graduation. Alumni like Gracia are earning their college degrees at five times the rate of their peers with similar socioeconomic backgrounds. 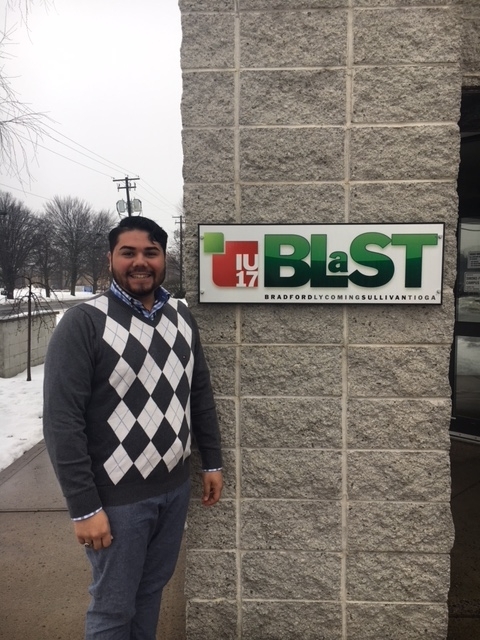 “After graduating from high school and beginning my studies at Lycoming College, something kept calling me to give back to my community. Every summer since, I have worked with YES Prep North Forest as a teacher and mentor for students through a 6-week summer STEM enrichment program offered through ACE. We tackle genetics, forensics, the science of social justice, and more,” he said. “I also serve as a mentor for Lycoming Summer Academy, a program at Lycoming College that provides support for first-year students.” Gracia also holds down a part-time position at O’Reilly Auto Parts. 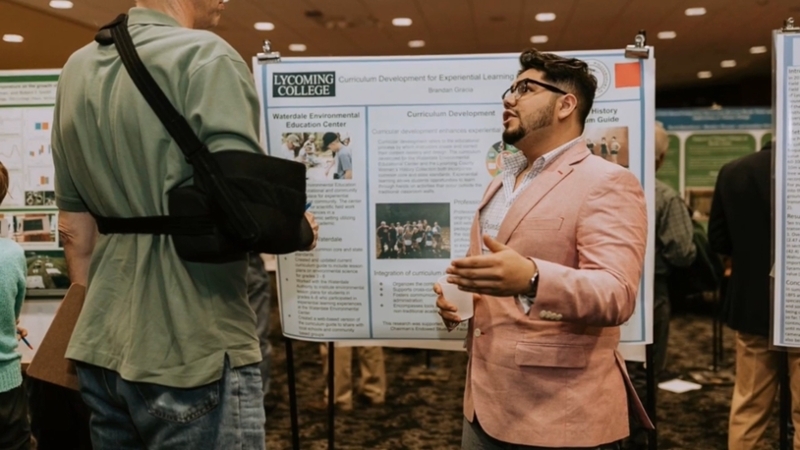 Gracia is quickly building a remarkable resume as a student at Lycoming. 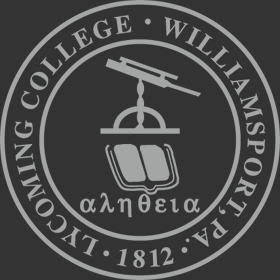 For example, he has updated the Lycoming County Women’s History Curriculum Guide to align with Common Core standards, including the creation of new lessons and technology-based lessons; has completed service work with LACES in the Dominican Republic, where he also served as a translator; works as a teacher’s assistant for Rogers; works for the College’s Clean Water Institute with programming and curriculum development, for which he was awarded a Haberberger Fellowship, and presented his research at the 13th Susquehanna River Symposium; and volunteers at the James V. Brown Library computer help desk. “Brandan has gone above and beyond any expectations with his college career. For him, it’s not about fitting in hours, it’s about putting forth the best product. He always thinks back to the students,” said Rogers. “His infectious personality gets the students excited to learn,” Zimmerman added. As a Haberberger Research Scholar, Gracia’s experience was supported in part by the Arthur A. Haberberger Chairman’s Endowed Student-Faculty Research Program during the summer of 2018.